I’ve always loved to read, as long as I can remember. When I was four years old I would wake up before my parents on Saturday mornings (that stopped as I got older), and get out my Dr. Seuss books and “read” them. I knew some of the words, but mostly I just knew the stories by heart because I made other people read them to me so often. I don’t know why I’ve always loved books so much. Maybe it’s just who I am. Or maybe it’s because of my mom. She’s always loved to read too. Maybe she somehow instilled that thirst for knowledge and escapism in me. I feel like Deb in Cheryl Alleway‘s new release Of Blade and Valor, inherited some traits from her father that, whether she can explain it or not, are inherently part of who she is. She is strong-willed and full of bravery and honor. She keeps a journal, as her father did. She inherited physical traits from her mother, as many do, but is most like her father, who raised her. Is this all because of influence, or would she have been just as much like him had her mother been in her life for longer? Though Of Blade and Valor is Deb’s story, it is also Jacob’s and it is Scotland’s. I don’t want to spoil too much, but if you like historical fiction or adventure, give this book a read and see what you think. It captivated me all the way through, and I’m sure it will do the same for you. You can find the schedule for Cheryl’s book tour at Twisted Willow Press. You’ll find interviews with Cheryl’s characters, Cheryl herself, and some reviews of the novel that will definitely make you want to read it. If you are a writer yourself, getting a view of Cheryl and all the authors who are participating in the tour is really interesting and can give you insight into the industry, lifestyle, and overall sense of being of others who have made the same dedication to writing in their lives as you have. Catherine Vickers is writing tomorrow’s post. Check it out! For every time you get involved and comment on tour posts, you will be entered into a drawing for one of two necklaces inspired by this book or one of two calendars featuring photos that were also inspired by this work! Get involved with our participating bloggers and win! 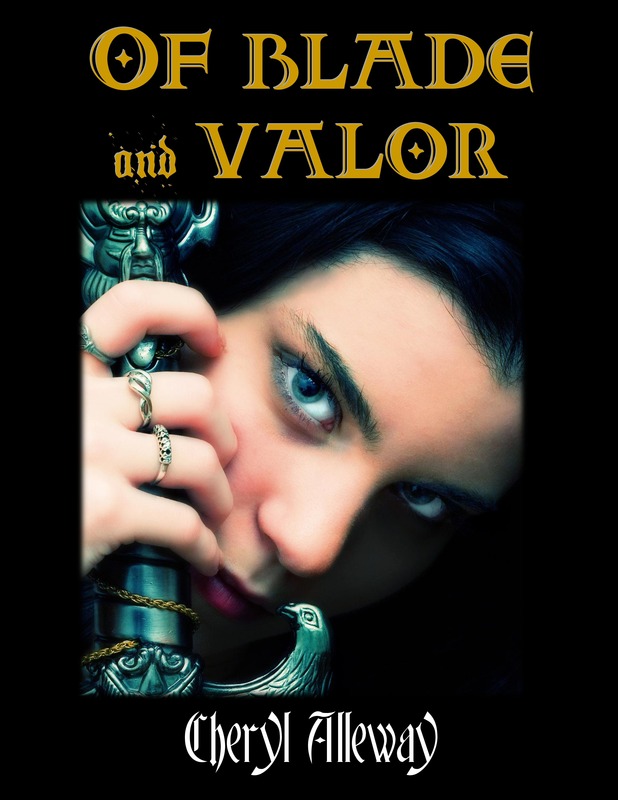 Posted on July 19, 2013, in books, literature, reviews and tagged Book Tour, books, Cheryl Alleway, New Release, Of Blade and Valor, reading, Scotland. Bookmark the permalink. 6 Comments. No problem Daisha, Happy to be involved! Glad to hear that, John!